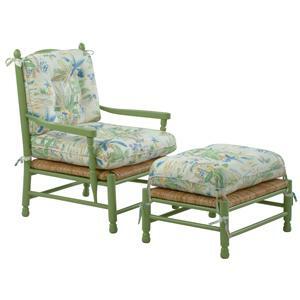 This coastal style accent chair and ottoman set has a soothing traditional appearance that can bring the outdoors in, or the indoors out. 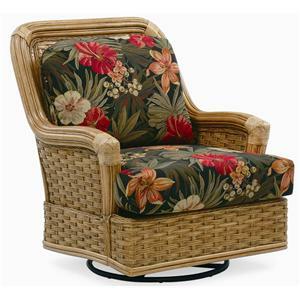 Perfect for use in cottage styled living rooms or on the porch of sand-side cabins, this soft cushioned chair and footrest carries a relaxed natural quality that reminisces of cozy water-front sun-sets with a cool flowing breeze. 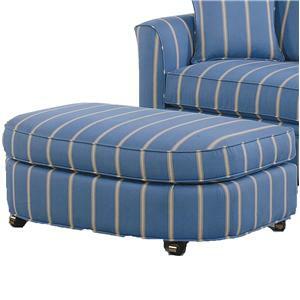 This wide, comfortable ottoman is the perfect size to use with a broad upholstered chair or sofa, and has casters so it can be easily wheeled to and from your seat. 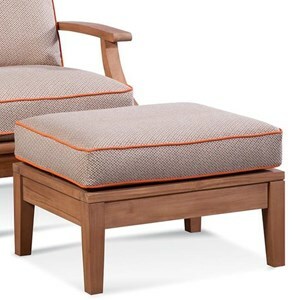 The casual design of this ottoman makes it easily able to pair with different decor styles, thanks to its understated design accents like welt cord trim and boxed-edge cushion. The soft fiber plus cushion contained in the seat will maintain its structure and resilience throughout the years, and will soften in appearance adding to your comfortable, casual style. A relaxed back design coupled with our down-wrapped seat cushions makes sitting on your sofa feel like a special treat. 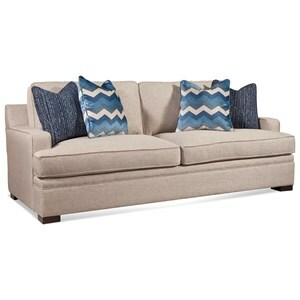 The oversized arms and structured T-cushions add a clean, modern edge to this lounge-worthy sofa. Sofa also available as a sleeper. The stunning pedestal design is the focus of this charming dining table. It features pieces bent wood with wrapped joints, creating a lovely natural look. Its round glass top allows the beautiful base to be seen even when sitting at the table, emphasizing its most brilliant feature. This makes it a wonderful centerpiece for your kitchen or dining room. This nightstand is designed in the tropical style, so adding this piece is a perfect way to add a bit of the quaint, tropical island aura to your bedroom. 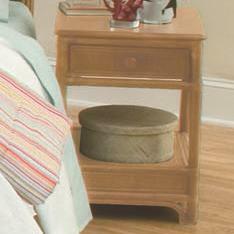 The coastal design accents that give this nightstand its unique character are rattan frame, wicker paneling, and bracket feet. This chair features a casual style that blends as easily in traditional rooms as it does with cottage or even coastal styles. 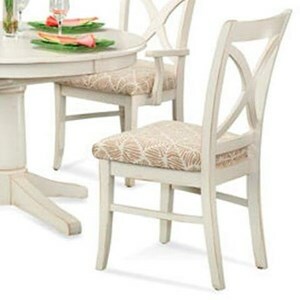 The chair has an armless construction making it easy to get in and out of, even if it is pulled close to the table. Braxton Culler Inc. was founded in 1975, and has experienced strong growth for 35 years. 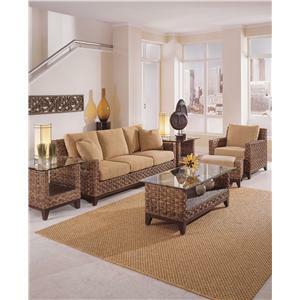 Once best known for their distinctive lightweight Wicker and Rattan, this family owned and operated company now offers extensive product lines for the entire home (bedroom, dining room, upholstery), patio, and outdoors. 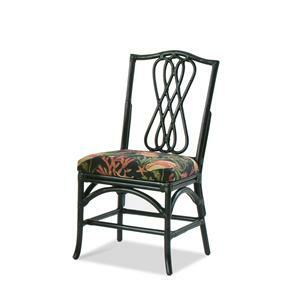 Braxton Culler offers over 1000 fabric choices, plus 15 wood finishes. With over 1000 pieces of furniture, customers may create the perfect combinations to reflect their individual taste and lifestyle. 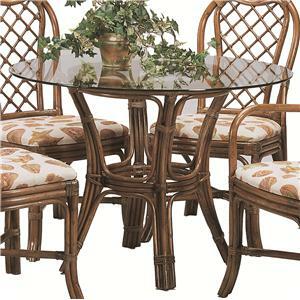 East Bay - 1505-039 - Chairside Table w/ 2 Wicker Baskets.